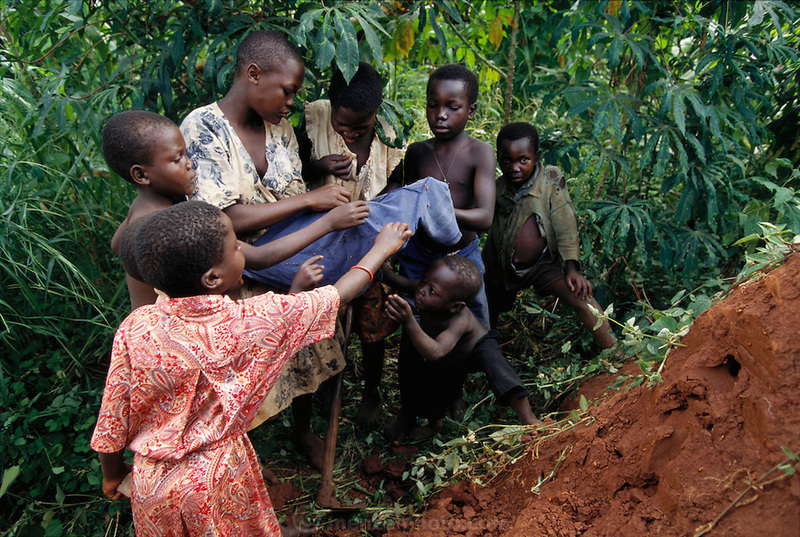 Children in the village of Bweyogerere hunt for termites early in the morning by hacking into the termites' mounded earthen homes. They place a cloth in front of the entrance, and yank off the ants that attack the cloth. They pick them up by the rear, biting off their heads and throwing away the rear part. Or they collect them in a bowl to be roasted. Bweyogerere, Uganda. Image from the book project Man Eating Bugs: The Art and Science of Eating Insects.